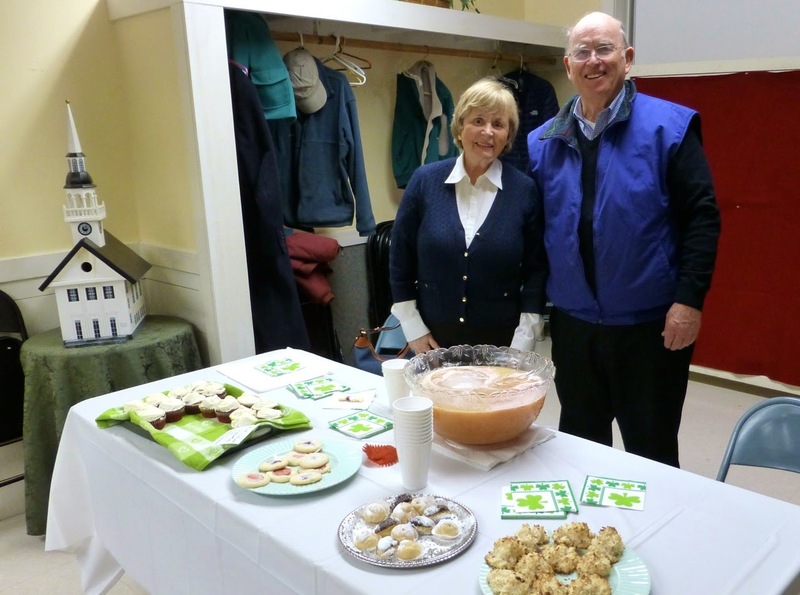 Like all meetings, you must pass by the hospitality table manned by Carolyn and Jim Quinn. If you can! 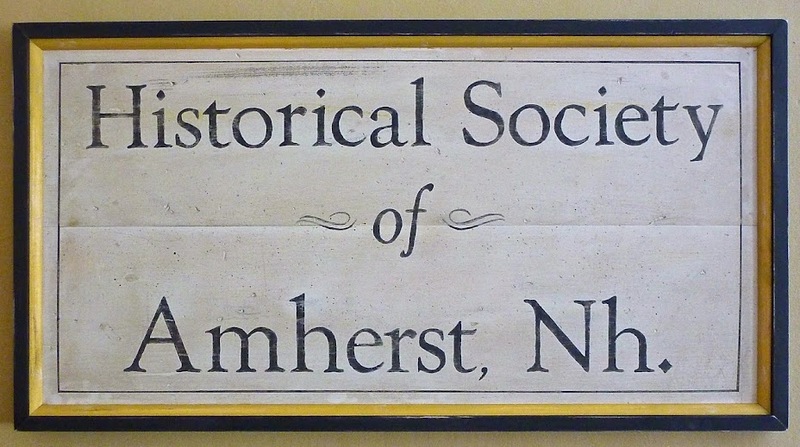 Historical Society of Amherst president David Clark addresses the gathering and brings members up to date with regard to finances, future plans and information regarding the societies two Museums. 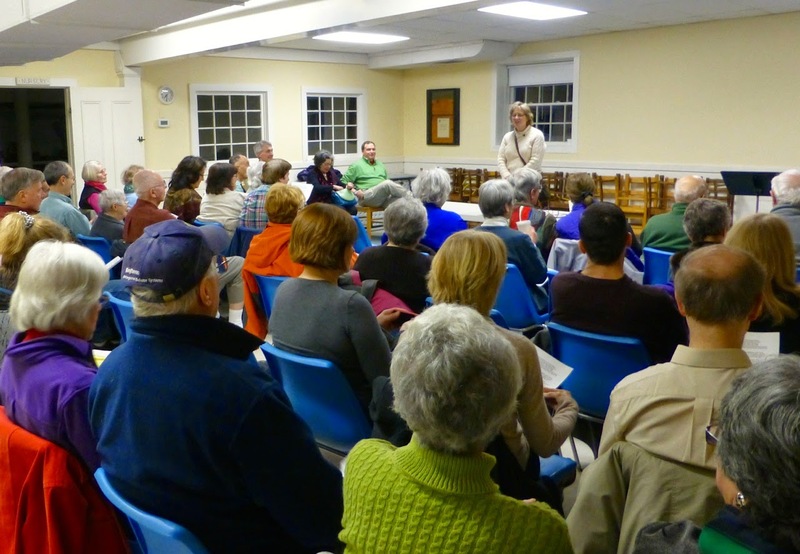 Past president Janice McDermott, who chairs the ANTIQUES ON THE GREEN event spoke with the assembly. Although we still have three feet of snow out there, the event will be here in no time and she's recruiting help. This is the societies biggest fund raiser, a lot of fun and attracts large crowds of citizens and those from away to the common. If you can lend a hand contact Janice. Neil Benner & Professor Douglas Wheeler. 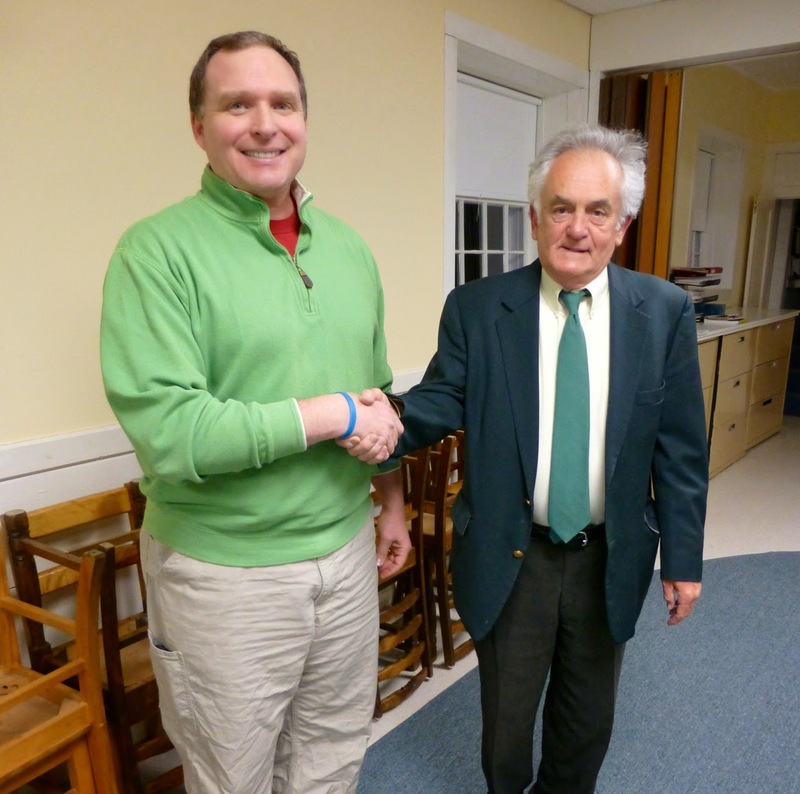 Society Vice President and Program Chair Neil Benner introduced Douglas Wheeler, Professor of History Emeritus, UNH to a maximum capacity audience on the evening of March 16. In fact extra seating had to be obtained to satisfy the demand for the Professor's topic of, GEORGE WASHINGTON SPIED HERE. The Professor enlightened us to the fact that the colonies went to war against England with a decided disadvantage. Aside from the fact that only a third of the colonists supported this endeavor, the United Kingdom maintained the worlds strongest standing Army with an even more impressive Navy. Great Britain simply out manned us, out gunned us and had a treasury to back it all up. They even recruited Germans to their cause, hiring feared Hessian Soldiers who had a reputation of being seven feet tall and eating their vanquished. Although fighting on his own turf, General Washington needed more to successfully repel King George III and a Parliament lead by a vindictive Lord North that supported squashing the rebellious colonists. The New York campaign and smuggling out information. What General Washington needed, among other things, was information. Where were the British? Where were they going? What was their strength? 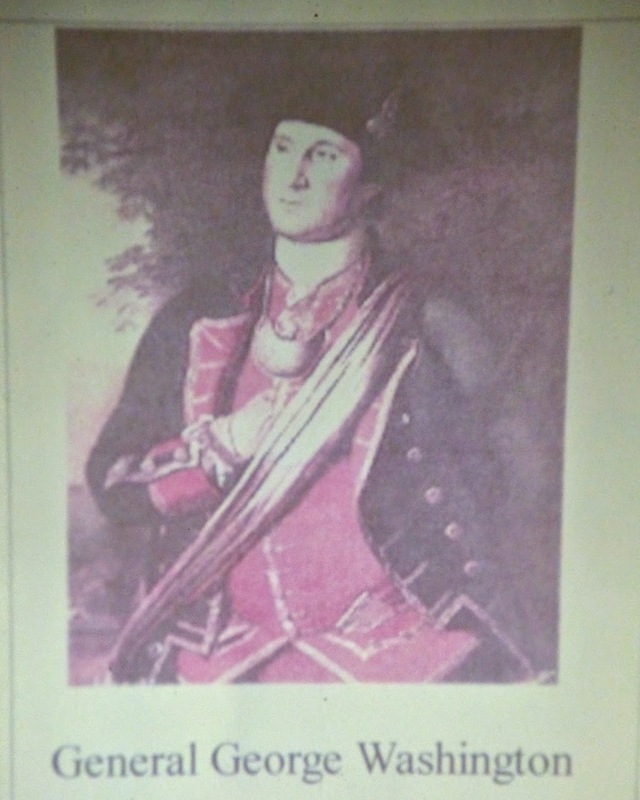 Through a small band of patriots, probably spearheaded by Nathan Hale, Washington's spy ring developed. 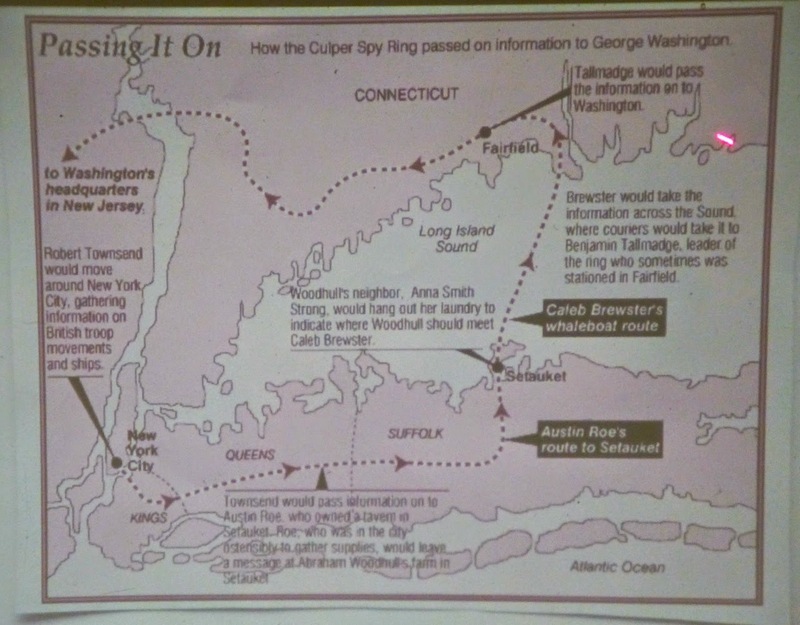 The map above shows how agents secreted information past the British to Washington's Headquarters by choosing a circuitous versus a more direct route. Invisible ink, secret codes and agents in the night on horseback, in small boats and on foot expeditiously pass on valued information that would help level the field of battle. Espionage in its infancy in North America. 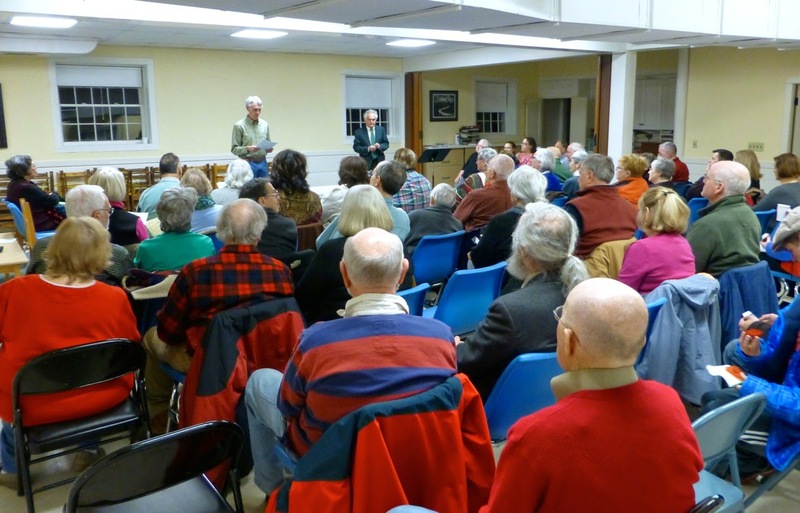 Our next meeting is on Monday, April 13th at 7:30 pm at the Congregational Church in Amherst Village where Steve Taylor will present; THE GREAT SHEEP BOOM AND ITS ENDURING LEGACY ON THE NEW HAMPSHIRE LANDSCAPE.